Elucidating the last stage of spiritual progress, when God converses with his servant. The Fifth Question - What are the main sources of Divine knowledge, and how can one attain comprehension of the existence of God? The answer to the Fourth Question asked at the Conference of Great Religions pertaining to the Laws of this world and the Hereafter. Will we still have physical bodies in the hereafter? If not, what form will every one take in the next world? Continuing the serialisation of the acclaimed and profound essay based solely on the Holy Qur’an. This section looks at what happens to a person after death. Explaining the reason for the Prophet Muhammad(saw)’s appearance in Arabia, and also expounding clear proofs that God does exist. This section features an exposition on the moral values of truthfulness and sympathy, and also explores man’s search for God. How the soul is created and enters the body according to Islam. Based exclusively on the Holy Qur’an, a unique philosophy of Islamic thought underlying its deep wisdom that won world acclaim. A philosophical discourse on the essence of religion. This article examines the Islamic penal system and how ‘harsh’ punishments are only meant as a deterrent. 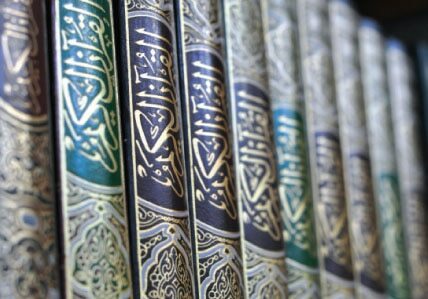 A look at some of the many acclaimed books written by Khalifatul Masih IV(ru). An article first published in The Muslim Herald, October 1970. If the Catholic Church decides to remove limbo from its teachings what will be the implications for Christian Holy Qur'an. History of the Acropolis and Athens and its significance in the development of spiritual thought. A detailed analysis of the Attributes of God manifested through His Will and His Power.